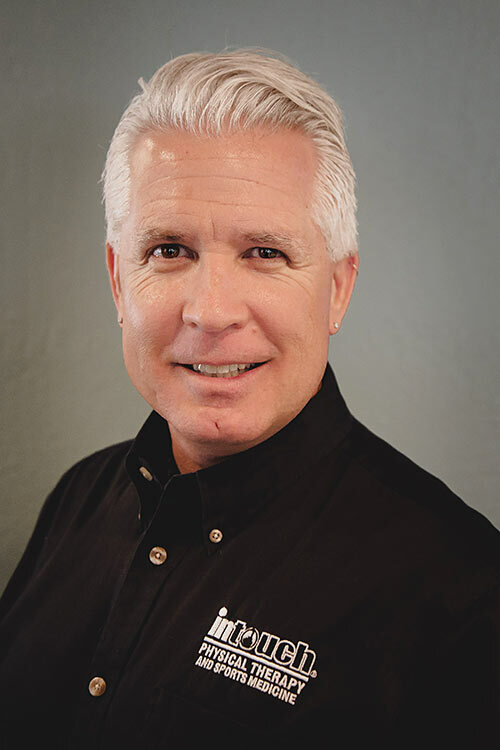 Brad graduated with his Master of Physical Therapy Degree from Idaho State University in 1997. He spent his first four years working at Kootenai Medical Center, in the Acute, Subacute, and Outpatient settings. Brad gained valuable experience treating multi-trauma, neurologic, orthopaedic, and post-surgical cases. Brad spent his next seven years working at a local outpatient physical therapy clinic in North Idaho. During that period, in 2006, while managing that clinic and seeing a full patient load, Brad earned his Doctor of Physical Therapy Degree from Idaho State University. In 2008, Brad and Lee opened In Touch Physical Therapy and Sports Medicine. In 2017, Brad celebrated twenty years as a physical therapist in North Idaho. Brad has been married to his college sweetheart, Michelle, for over twenty-five years. He spends his free time with her, their daughter, Micah, son, Charles Daniel “CD”, and two rescue greyhounds, Fleaka and Carpet Lady. His weeks are usually packed with sports, cheering on Micah at swim meets, CD at baseball tournaments, or the entire family at triathlons. Brad also helps coach baseball and serves as a trainer to athletes for injury prevention, rehabilitation, and general strengthening through weight lifting, cross training, and conditioning. Lee graduated from the University of North Dakota in 2003 with both his Master and Doctor of Physical Therapy Degrees. He has worked in a variety of settings from private practice to hospital and rehabilitation facilities consisting of orthopedic, post-surgical, sports medicine, pediatric and neuro patients. 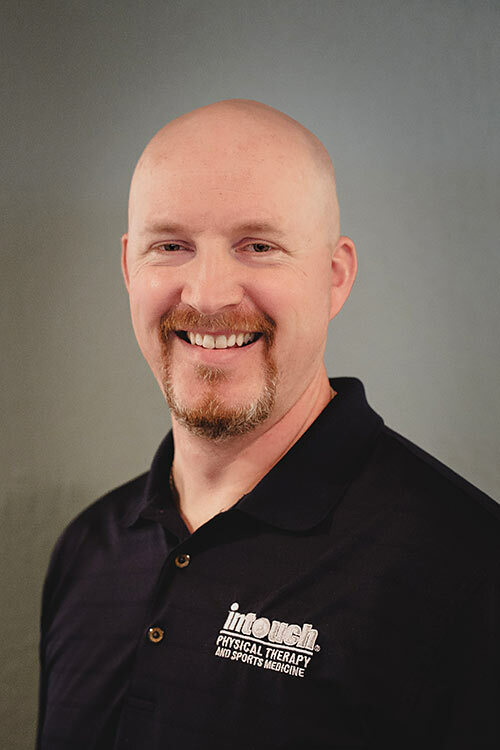 Lee worked in North Idaho at various outpatient physical therapy clinics, before he and Brad became business partners and founded In Touch Physical Therapy and Sports Medicine in 2008. Lee feels fortunate and blessed to help facilitate patient’s return to their normal lifestyle through his profession, along with the opportunity to continually educate and positively impact youth in the community through volunteer work. He has been an active community volunteer through numerous organizations of Spokane Americans Youth Hockey Association, Coeur d’ Alene Amateur Hockey Association, Northwest Premiere Baseball Club, Prairie Cardinals Baseball Club, Post Falls Little League and Post Falls Parks and Recreation. Lee enjoys spending time with his wife, three boys, family and friends. He likes the outdoors, camping, fishing, hunting, hiking, riding motorcycles and ATV’s, coaching, watching and playing most sports, particularly hockey.